Tickets sold out quickly for the three Grateful Dead shows at Chicago’s Soldier Field on July 3, 4 and 5. A similar frenzy is under way at hotels, with concertgoers paying a premium as rooms fill up. By the time the Pasadena, Calif., television-show editor got back to his computer, the cost for his four-night hotel stay — $1,200 before spousal negotiations began — had gone up by about $240, and all rooms that allowed him to use his customer-loyalty points had been booked. Tickets sold out quickly for the three “Fare Thee Well: Celebrating 50 Years of Grateful Dead” shows July 3-5 at Soldier Field. A similar frenzy is under way at hotels in the third-biggest U.S. city, with concertgoers paying a premium as rooms fill up. Chicago hotels had a record 11-fold increase in reservations the day the shows were announced, according to Orbitz Worldwide. The surge in demand — the capacity at Soldier Field is 71,000 for the concerts — boosted the average room rate to $282 as of this week, up 86 percent from a year earlier, according to the online travel company. That’s the biggest increase on record for a July 4 weekend. The Dead has since announced two additional shows, on June 27 and 28 at Levi’s Stadium in Santa Clara, Calif., and a similar onslaught is now hitting hotel rooms in the Silicon Valley with availabilities “extremely tight,” Webster said. 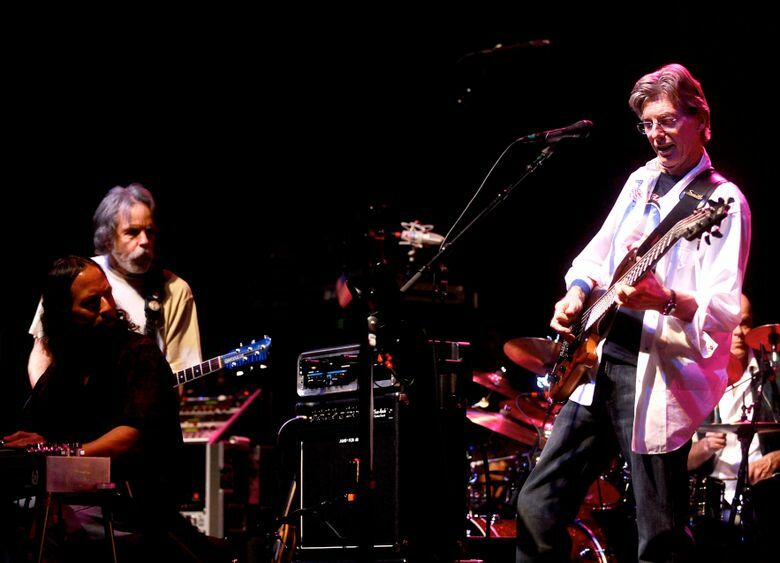 It will be the first time Mickey Hart, Bill Kreutzmann, Phil Lesh and Bob Weir will perform together as the Grateful Dead in 20 years. Demand isn’t restricted to hotel companies. For Airbnb, the San Francisco-based site for people to list accommodations, Chicago bookings for the July 4 weekend are up 95 percent from a year earlier, said Cristina Calzadilla, a company spokeswoman. The Chicago concerts are sold out, and travel packages for two offered by CID Entertainment, including three nights at a downtown hotel and show tickets, were completely spoken for at prices as high as $5,700. Resale website TicketNetwork listed more than 1,100 tickets available for each Chicago show as of this week, and StubHub had about 1,900 tickets offered for each night. The large number of Dead tickets being offered for resale is making some hotel operators worried, said Marc Gordon, president of the Illinois Hotel & Lodging Association. “Chicago hotels are very concerned about cancellations, and that third parties made many of the reservations with the idea of reselling them and maybe not actually ending up using them,” Gordon said. The additional concerts in California “might also soften some of the demand that would have ended up here,” said Kevin Mallory, the Chicago-based global head of CBRE Group’s lodging business. Like many of his fellow Deadheads, Prime has traveled across the U.S. to see the group perform. But he wasn’t willing to go to any length to see the Dead one last time, with a decent hotel room being one condition for the trip.